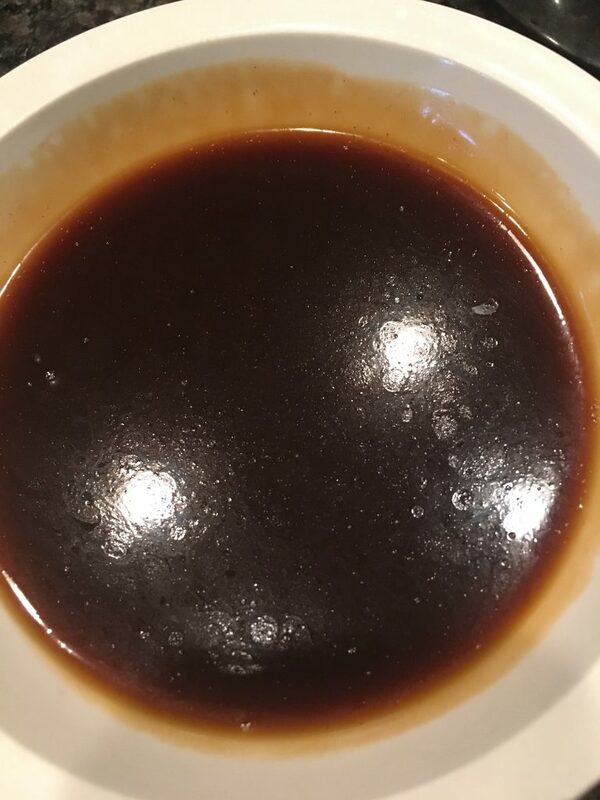 This little bowl of my very own bone broth, which is probably, really, old-fashioned boil lion cubes, gives me such pride. I just wanted to share my new method of storing by making a condensed version. Of course, I’ve been making broth by the potfulls, in the crockpot, and drinking as much as I can to helps with the healing. But ive added a twist: At the end of the week, after the bones have cooked down, I strain out the bones and vegetables, and cook the broth down at a high boil. Then, once it’s reduced to about 1-2 inches in the pan, I add two or three packets of unflavored gelatin. Then, I continue to cook the broth to dissolve the gelatin. Then, place the pot in the fridge and let it cool. 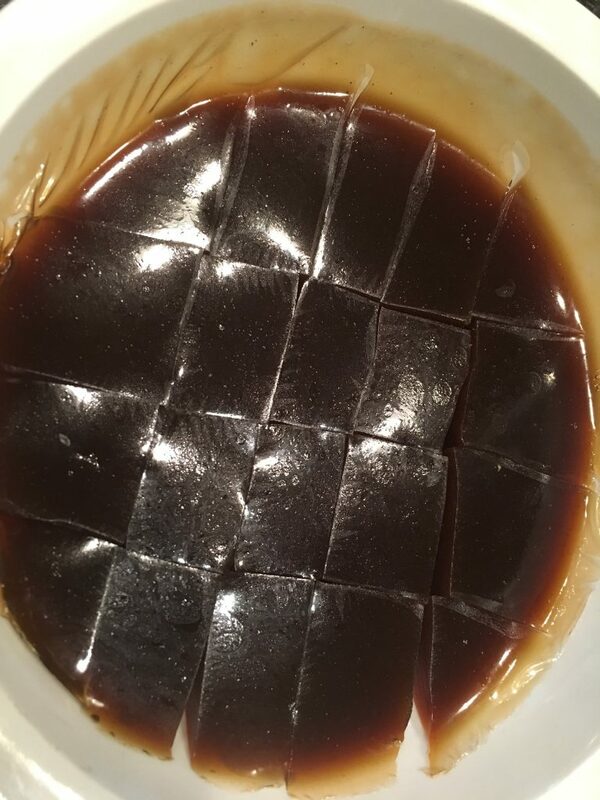 Then, you basically have jello, that you can cut into squares to store in the freeze. I just pop one out when I’m making soup, rice, pasta, or just need extra flavor to cook vegetables.